Before I write a review of Pimax 5k+ I have to make it clear that I had almost all the VR headsets, starting with the LG G3 and Homido phone, and then all the PC headsets (Deepoon e2/e3, Pimax 4k, Oculus DK2/CV1, HTC Vive+DAS, Lenovo Explorer, Dell Visor, Samsung Odyssey, Samsung Odyssey+) as well as PSVR v2 with PS4 Pro, Oculus Go. At the time of receiving the Pimax 5k+ in January 2019, I only had 3 headsets available to compare Pimax 5k+: HTC Vive, Samsung Odyssey+ and PSVR. The first time you connected the HMD, it was difficult to set it up, the HMD was often not seen by the base stations and the problem was solved by pressing the Reboot HMD button or rebooting the PiService service. This problem still persists (later on). So the first impressions of the Pimax 5k+ headset were mostly positive because I wasn’t sure if the Pimax 5k+ would work for me, as the experience with the Pimax 4k in 2017 wasn’t the best (slow display with a ghosting, only 40cm lens focus, gyro drift). The first game I launched was Beat Saber and the first impression was, "they did it after all. High resolution, fast-switch displays without any ghosting, large viewing angle and sweet-spot, correct focal length of lenses and enough comfort for eyes compared to Pimax 4k, SteamVR tracking. long and removable cable (4.9 meters, longer only with HTC Vive - 5.8 with Linkbox), possibility of cable replacement (this is important compared to WMR). larger 58x82 mm (HxL) lenses, which almost do not limit the horizontal viewing angle of the matrixes depending on the thickness of the faceplate (for comparison, the HTC Vive 50x50 mm, Odyssey 50xPSVR 47x40 mm). The face gasket is hard enough, I use a softer one from HTC Vive. thin plastic (my son recently dropped the PSVR on a hard floor from a height of 1.2 meters without any consequences, if it was a Pimax, I would probably collect it in pieces). The first impression of the Fov - that’s what a VR was supposed to be, not a circle of portholes. And I like Large FOV in spite of more noticeable distortions and significant blur on edges. Normal FOV already comes with image cropping and it’s noticeable. Unfortunately, my system (GTX1070 and i5-4670 allow you to use Large Fov for video and other demanding applications). The FOV is one of the most important parameters for me. In all headsets, I tried to increase FOV , bringing my eyes as close as possible to the lenses. The HTC Vive with its ultra-thin face cap and 50 mm lenses had the highest FOV up to 107 degrees horizontally. I used several different applications (one of the best FOV Measuring Tool by Miami Mike) and measured the edges of the matrixes through lenses. To compare the maximum FOV displayed on the display, I present screenshots of the Headset Mirror (raw) for two eyes (without distortion correction). Another big factor is the horizontal FOV visible by turning the eyes. For the HTC Vive, it is a maximum of 85-87 degrees with the eyes very close to the lenses, while in Pimax 5k+ it is fully visible in all modes due to the large lenses, so even Small Mode in Pimax 5k+ has a significant advantage. Many reviewers point it out to be huge, but it’s not exactly so. 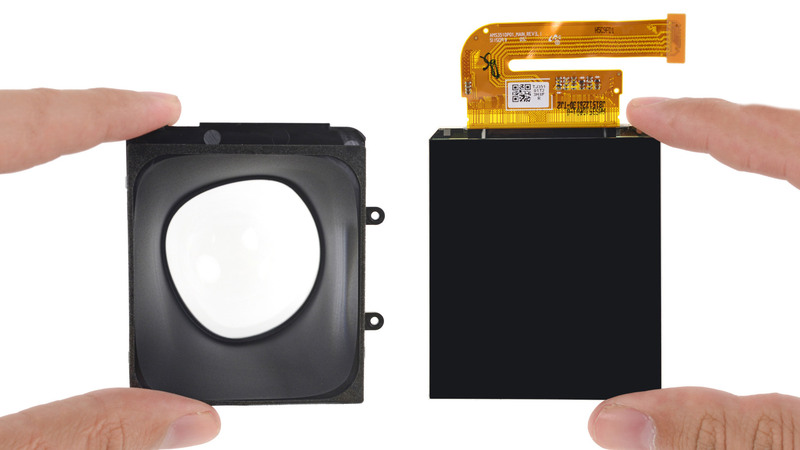 When compared directly to the HTC Vive with ultra-thin gasket, the values are comparable (in the HTC Vive lenses are sharp almost to the edge). But of course, because of the larger viewing angle and lens size, the overall area seems larger in Pimax 5k+. The FOV area outside of stereo coverage (above 90 degrees) is out of focus and above 140 degrees has significant blurring when trying to look at it by turning your eyes. However, looking straight ahead, peripheral blur is not a problem for me at all. It can be considered a drawback, but in the real game you translate eyes within 50 degrees, moving eyes is no longer comfortable for the eyes. Geometry distortions in the entire field occur only if the position of the head is incorrect. If the position is correct, they can be reduced to an acceptable position. Edge distortion: when you turn the head left and right, the image on the edges is slightly compressed (not stretched as in rendering frames, but compressed). Distortions on the edges begin at an angle of about 110 degrees and are slightly visible in Small Mode and most pronounced in Large Mode. This effect also depends on the thickness of the face pad and the position of the eyes, and if selected, that is, the position where these distortions are minimal. The two 2560x1440 LCD screens with a resolution of 2560x1440 per eye have a high overall resolution (7.3M pixels), but the pixel density and SDE are not outstanding today. Compared to Samsung Odyssey+, the Pimax 5k+ makes it easy to see pixels when you look at them, but the image clarity that you can get in the Pimax 5k+ is higher and each pixel is used 100%. In my measurements, the Pimax 5k+ has an angular resolution of 14.8 pixels per degree and is approximately the same as Lenovo (14.6 px/deg), Odyssey (15.9 px/deg) and Vive Pro (15.2 px/deg). Despite this, it is the large FOV that gives the Pimax 5k+ an advantage. After all, a 37-inch HD TV will always be worse than 55 inches FullHD when watching from the same distance, although the angular resolution will be the same. The same is true of Pimax 5k+ compared to conventional HMDs - people think that Pimax 5k+ has less SDE because they just see more pixels in general. This feature is less critical for me than SDE, in most cases I don’t pay attention to it. The brightness of the Pimax 5k+ screen in the High brightness mode is quite sufficient. It’s a little bit bigger than the PSVR but noticeably less than the HTC Vive (the brightness of HTC Vive is one of its main advantages). The colors of the screen are colder than in OLED and also acceptable, they are almost at the same level as my IPS monitor. The color saturation is slightly more than in Lenovo and Oculus Go, but noticeably less than in OLED headsets. In some games it looks more natural than in OLED (in Samsung Odyssey+ saturation is even exaggerated), but often you want more colors. The level of black is a major drawback for me. It’s not critical in light games, where high definition, but in dark games it’s just the biggest drawback. Only OLED gives the effect of presence in the dark, and here a wide FOV can’t compensate for this drawback. After spending enough time with the Pimax 5k+, I can say that this is the biggest drawback for me. I would like to try Pimax 5k BE, but the price of 1000 dollars is too high, plus the compromise of Pentile matrix makes it worse for games with light scenes. I have an outdated system with an I5-4670 processor, GTX1070 8gb. I didn’t expect to be able to provide acceptable image quality. However, it turned out to be quite good and in comparison with HTC Vive and especially WMR HMD I can use Small FOV with the same simple performance headsets, Normal Mode in undemanding games or with reduced resolution and Large Mode for video and games with simple graphics. Most VR headsets for 100% SS accept a rendering resolution that would match the display resolution when correcting for distortion (with the exception of WMR headsets that result in an HTC Vive). These values are obtained by setting SS=47% at Pitool Quality=1.0 and it should be considered as basic. The only performance test I’ve done so far is comparing the HTC Vive and Pimax 5k+ in Beat Saber, which allows for higher resolutions. The image quality is shown in the photo. The Beat Saber example concerns only simple games. For demanding games, good image quality in Pimax 5k+ can only be achieved in Small Mode. This was the first game I launched in Large Mode and Pimax 5k+ had a much bigger effect than the Samsung Odyssey+ I had used before. Great viewing angle and clarity are the main advantages. After Samsung Odyssey+, the depth of black and the lack of SDE is very low, as the pixels are clearly visible, the angle of view compensates, but I would probably choose Pimax 5k xr for this game. Very clear image, but also clearly visible pixels compared to Samsung Odyssey+. 360 video and 3D 180 video in Large Mode looks impressive. Best experience thanks to FOV. 2D and 3D video is a real IMAX effect, but for real viewing the big screen is not very practical and I liked the Samsung Odyssey+ image quality much better because of the colors and smoothness of the picture. One of my favorite apps. I ran 2 versions - the Oculus version and the Steam version. I liked the Oculus version better because of the control. You can adjust the flight speed with the touch panel and fly very slowly. I was able to experience the effect of flying an aircraft when I switched on the "always human scale" mode. I fly1 km above the ground and moved my finger slightly on the touchpad very slowly. In Large Mode, the field of view was maximal and I felt as if I was looking out of the plane, it was really great. One of my favorite games. In my opinion, it’s a game that unleashes 100% of the potential of Pimax 5k+ and a big FOV. When robots come from all sides, you can use peripheral vision, and there are much more actions in sight at the same time than with HTC Vive and Samsung Odyssey+. You don’t have to turn your head left and right all the time. Before Brainwarp I could only use Small FOV, but then I used Normal FOV with Brainwarp. I’ve been running the game for a while. Big FOV allows you to see your hands much better, better flight effect. However, I felt the lack of the worst black depth in this game to the fullest extent. For me, this game only opened up thanks to Brainwarp. I was able to play it with good quality in Normal FOV at 45 fps. Even the image in Small FOV in these games did not provide the quality of the picture that would suit me. In my experience, flight sims require a fair resolution of at least 2k on eye. Unfortunately, that’s one of the main drawbacks. I periodically have the problem of cycling the headset. Sometimes it appears, sometimes it disappears. Resolve it with technical support while there is no possibility because of my busy schedules, hopefully it’s only a compatibility problem with my system, not the headset itself (most of it works). My main concern before buying was the comfort for the eyes. In Pimax 4k, my eyes focused on the distance of about 40 cm, which caused discomfort. In Pimax 5k+ the focus is about 1 meter, similar to the HTC Vive. Comparing comfort with HTC Vive, PSVR and Samsung Odyssey+ I can note that still in Pimax 5k+ eyes get tired a little bit more. I have an IPD of 70 mm and for less fatigue I use the 67 mm setting. I liked the Pimax 5k+ in general. It’s really a VR that should have been there in the first place, and for which the technology is still not quite ready. With my system I can’t get all the benefits from it yet and after the system update I’m sure I’ll get more because I can use Large FOV more actively. Unfortunately, I no longer have the same little SDE as Samsung Odyssey+, stability, contrast and depth of black as in HTC Vive, but it will be difficult to give up a large viewing angle. I always said that Pimax had those FOV values, but almost everyone said no to me, even though I tried it not a few times. Be interesiting to see what a wearality mod could do. Have you measured it’s 150°? 120º - 140º - 160º (horizontal) using the Real o Virtual tool. I meant do you have the Wearality phone frame? It had a reported FoV of 150. It’s measured virtual in-game FOV. But virtual FOV should be equal real FOV. You must see controller in same point in reality and VR. No, I don’t have the Wearality phone frame. Those values are with the “compatible with parallel projections” mode active. Find and disable it under the “brainwarp” settings section; It is only needed for game builds that has no support for screens that are set at an angle. I always use parallel projections. Many games have artifacts without this option, also Beat Saber. And still for what this huge values? Test performance was made with this option. It has good performance. And still for what this huge values? Geometry. With parallel projections, the game is rendering the views as if you built a large FOV headset by taking a Rift and extending the screens in their existing in-line orientation, in every direction except toward the nose. Rendering gets less and less optimal the farther out from the centre you get (by the tangent), and the projection becomes more and more oblique, going toward infinity at 180°; One degree of field of view right in front of you, covers significantly fewer pixels than one degree in your periphery. This is mitigated somewhat when one swivel the viewplane, so that it sticks out about equally much in every direction, from where the camera is pointing, instead of approaching that 90°. The vertical part could conceivably be reduced without losing resolution, if one allowed the vertical FOV to grow thinner toward the sides, but that would probably be rather annoying. Yes. I never used it without parallel projections because i had problem with games. Today i researched it and without parallel projection Large Mode give 2 times better performance. It’s great. And it seems I have found an opportunity to improve the performance with the parallel projection. It’s about vertical FOV. Real vertical FOV through lenses in both cases (with and withour parallel projection) is 103-104 degree, BUT rendering vertical FOV with parallel projection is 116 degree and without parallel projection is 104 degree. With parallel projection HMD just loses 12 degree vertical FOV!!! And it’s not for distortion correction, it’s too much. Horizontal in-game FOV in display (though lenses) and rendering (on Headset Mirror) is same with and without parallel projections. Only vertical FOV is loses. I think it’s need to be fixed for increase performance. @Sean.Huang, @Dallas.Hao - please, answer about loses vertical FOV with parallel projection, i see in display only 103-104 degree, but with parallel projection rendering 116 degree, we lose 15-20% performance!!! Have you measured these FOVs? 3D cursor is camera position, projecting its frustum. The filled rectangle is the viewplane that matches the screen, cantered ten degrees; The larger rectangle at the back is the parallel projection viewplane that the game renders, that is then reprojected to the former. As you can see: To the right, the two viewplanes meet up, like the spine of a book, but to the left they diverge (those ten degrees), and to fill the FOV out to the left, where we come in at a more oblique angle to the PP plane, than the non-PP one, the projection needs to cover a larger viewplane area – more than at the other end. In order to maintain the same resolution at the right edge, as you would have in regular non-PP mode, you need to have as many pixels in the part of the right edge of the PP bitmap that ends up reprojected, as in the no-PP one. As I mentioned in my previous post, an alternative to gaining FPS by lowering the bitmap size, could probably be to skip scaling the viewplane up vertically (done so that we cover the full vertical FOV out in the periphery, remember? ), and make the PP plane exactly as tall as the non-PP one, both in terms of projected area and bitmap dimensions, if one were ok with the vertical FOV being full toward one’s nose, but then taper off the farther out to the side you get, where the frustum edges intersecting the two corners on the left of the the output viewplane would end up outside the confines of the PP one, and thus have no texels to reproject (EDIT2: essentially resulting in the inverse of the two triangles in the picture). EDIT3: We had this whole discussion only a day or two before you created this topic, by the way, if knowing that answers any sudden questions. I think no, it’s not about this. Vertical FOV too much for Small FOV also (and there no big distortion correction). Looks to me like everything in your pictures there demonstrates exactly what I wrote (EDIT: you and I might parse my undeniably rather incoherent writing style differently, though). Take the diagram you’ve drawn up for post 5, and add the third dimension to it, so that you can see what happens on the vertical axis, too. Thank you for the really detailed review with explanation and a lot of interesting numbers especially about the FOV!